Things are really hopping a long & we are excited to be in the kitchen getting ready for Easter activities. 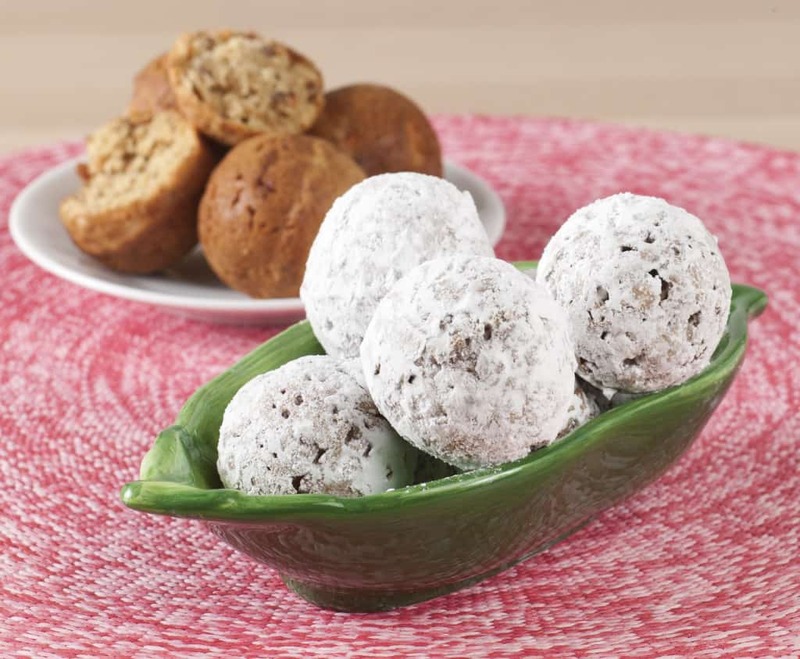 We are always looking for fun breakfast ideas; especially around the holidays. 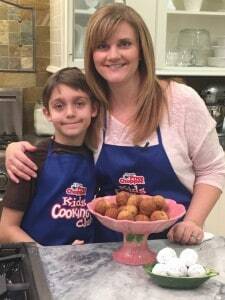 This year Caleb joined me to bake up some Bunny Tails to serve for breakfast. Bunny Tails are our version of a baked donut hole filled with all kinds of yummy goodness. We had a lot of fun mixing and messing up the counters with this recipe. 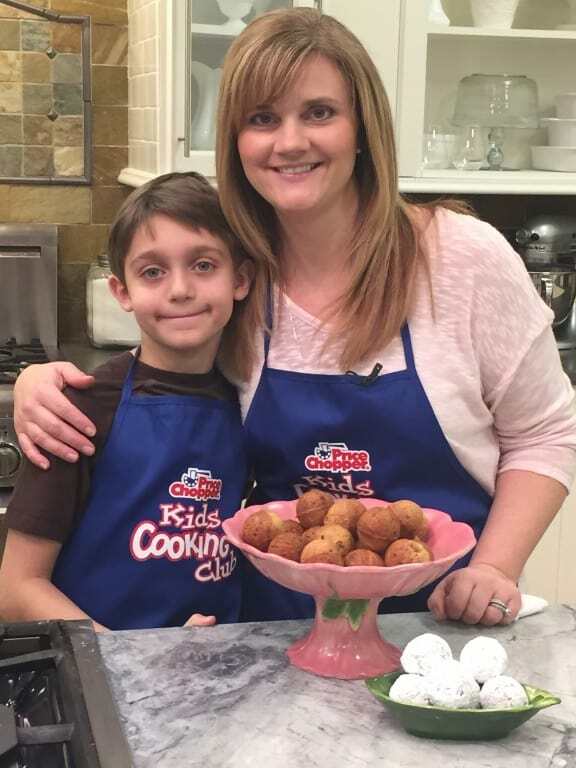 You can check out how to make Bunny Tails by watching Caleb’s debut below & then check out our recipe filled with carrots, applesauce, raisins and dates…they’re a quick bite on a busy morning that can be made ahead of time so that you can relax & enjoy the Easter Bunny’s visit. Place the finely chopped carrots, the cinnamon applesauce, the raisins and the dates into a food processor. Pulsate until the raisings are dates are pureed with the applesauce and carrots. Add the pureed carrot mixture to a bowl with the eggs, cinnamon, vanilla extract and brown sugar. Mix the ingredients well. Add in the all-purpose flour, the cake flour, the salt and the baking powder and mix thoroughly. Bake the muffing mixture in a cake pop pan that has been coated with the non-stick cooking spray for approximately 18 – 20 minutes. Note: this recipe makes 18 – 24 cake pop sized muffins. A mini muffin pan can be substituted. Once the Bunny Tail muffins have completely cooled. Place 1 tablespoon of confectioners sugar in a Price Chopper brown paper lunch sized bag along with 6 – 8 of the Bunny Tail muffins. Roll the top closed & shake until they are coated. Remove them from the bag & serve. Repeat this until all 18 – 24 of the bunny tail muffins are completely coated. Note: Coat with confectioners’ sugar just before serving. Hi there! Stopping by from the Wednesday Roundup link party. As bunny tails, these are so cute!! Thanks for sharing the recipe! These look delicious and good for you too! It was great to see you at the Thursday Favorite Things Blog Hop! Thanks – hope you are good! Jodie, these are adorable and sound so tasty! These are adorable! What a clever idea. Thanks for linking up and sharing with us at Funtastic Friday. We’re featuring your recipe this week. Hope you can join us again. Thx – for hosting & for stopping by :)!